The Affidavit of Support (USCIS Form I-864) is a form that is required for all immediate relatives of U.S. citizens and lawful permanent residents, (parents, spouses, and unmarried children under the age of 21, including orphans) and other relatives who qualify for immigration to the United States under one of the family-based preferences either through adjustment of status (where the intending immigrant is lawfully present in the United States) or consular processing (where the intending immigrant is residing abroad). An affidavit of support (USCIS Form I-134) must also be filed for alien fiance/e’s of US citizens who plan to enter the United States on a K visa. An affidavit of support is not required for an immigrant who is self-petitioning for immigration benefits because they are the battered spouse or child, or the widow/widower of a U.S. citizen or legal permanent resident. When the petitioner signs the affidavit of support, they are declaring themselves the sponsor of the intending immigrant(s). On an affidavit of support form, petitioners must prove that they can financially support the intending immigrant. Petitioners filing an I-130 petition to allow their relative to apply for an immigrant visa through “consular” processing must submit this form to the National Visa Center along with supporting evidence proving that they meet the income requirements such as copies of their 1040 federal income tax return, W2s, recent paystubs, and employment verification letter. 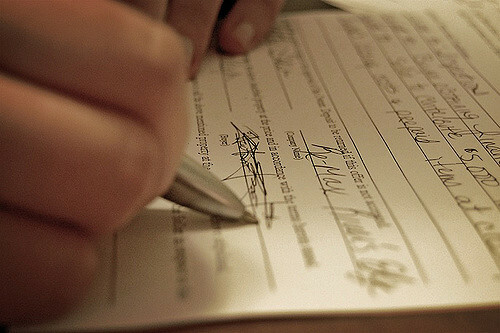 Petitioners must submit an Affidavit of Support no matter their level of income. Petitioners must meet a minimum income level. Petitioners who cannot meet this level, which is called the Federal Poverty Guidelines have two choices: 1) find a joint sponsor who meets the income requirement and will agree to financially support the visa applicant or 2) use your assets to supplement your income. Additional financial sponsor must also sign and complete an affidavit of support, provide proof of income, and proof of legal status in the U.S. The affidavit of support is typically not filed as a standalone form. When applying for adjustment of status, the affidavit of support normally accompanies USCIS Form I-130 Petition for Alien Relative and the I-485 Application to Register Permanent Residence or Adjust Status. When applying for consular processing, first the Form I-130 is filed, and then the I-864 is later mailed to the National Visa Center. The affidavit of support is a legally enforceable contract with the United States government. The affidavit of support ensures to the United States government that your relative/intending immigrant(s) will not become a financial burden on American taxpayers should they fall into financial hardship. A legal permanent resident cannot seek local, state, and government benefits except for Medical and Medicaid. If you sponsor a legal permanent resident who later seeks government assistance, you as the sponsor are liable and responsible for reimbursing that agency for monies owed. Please visit our website for more information about the affidavit of support and poverty guidelines. To learn more about what financial documents are required for consular processing please click here.